U.S. ambassador to Turkey says duration of suspension in visa services in Turkey depends on talks between the two governments. 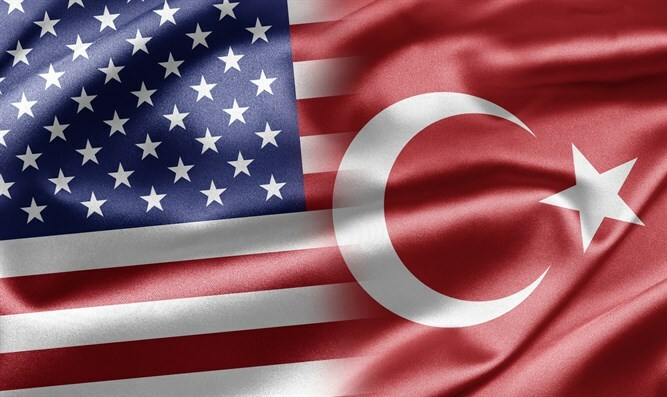 The U.S. ambassador to Turkey, John Bass, said on Monday the duration of a suspension in visa services in Turkey would depend on talks between the two governments regarding the detention of Turkish staff at the U.S. embassy, Reuters reports. In a written statement quoted by the news agency, Bass said the length of the suspension would also depend on “the Turkish government’s commitment to protecting our facilities and personnel here in Turkey”. He noted it was not a visa ban on Turkish citizens. Bass further said the embassy had been unable to learn the reasons for the arrest of a Turkish staff member last week and or what evidence exists against the employee. On Sunday, the U.S. mission in Turkey reduced visa services in response to a U.S. mission employee being detained in Turkey last week. The Turkish mission in Washington subsequently announced a similar move, with both sides saying they needed to reassess each other's commitment to the security of their personnel. Bass's statement came after Turkey’s President, Recep Tayyip Erdogan, said the U.S. decision to suspend visa services in Turkey was upsetting, and adding that Turkish foreign ministry officials had contacted their U.S. counterparts over the issue. “Above all, the decision is very upsetting. For the embassy in Ankara to take such a decision and implement, it is upsetting,” Erdogan told a news conference during a visit to Ukraine. The U.S. consulate employee in Istanbul was arrested last week on charges of links to Fethullah Gulen, a cleric blamed for last year's failed coup. Gulen currently resides in exile in the United States. He leads a popular movement called Hizmet and split from Erdogan over a corruption scandal in 2013. Erdogan has long accused him of running a parallel state from abroad. Turkey has pressed, so far in vain, for the United States to extradite Gulen over the July 2016 coup, in which more than 240 people were killed. Gulen denies any involvement in the coup attempt and has hinted it could have been “staged” by the government.